Many of the tools you use day-to-day, especially the ones for maintaining your garden, produce high pollution emissions, most notably volatile organic compounds (VOC). VOCs are organic chemicals released from burning fuel and are dangerous to both human health and the environment.According to statistics by the United States’ Environmental Protection Agency (EPA), a new gas powered lawn mower running for an hour emits the same levels of VOCs as 8 new cars driving 55 miles per hour for the same amount of time.By now, you’re probably asking yourself “But how will I take care of my garden without a powerful lawnmower?”Well, that’s where cordless electric tools come into play. Whether cleaning our home is something we love or something we hate, it’s a necessary part of all our lives. Not only is cleaning beneficial for our health, but it is also essential for our mental wellbeing. Many experts advocate that good cleaning habits have a direct correlation with improved health. More recently, there have been studies carried out that provide evidence that cleanliness is also a contributing factor to positive mental health. We surveyed over 1000 Britons to find out their cleaning habits. We wanted to find out how often they cleaned certain areas of their home, how children affected the cleanliness of a home, and how many feel overwhelmed when it comes to cleaning. Read on to find out what factors can contribute to how clean your house is. We all want to lower our carbon footprint. The pressures our environment is under to sustain us has recently reached critical levels. But we still need to live. Driving a car, or even doing chores can have a huge environmental impact. Just doing laundry can take up 13,500 gallons of water a year for the average household. And that’s just the start. 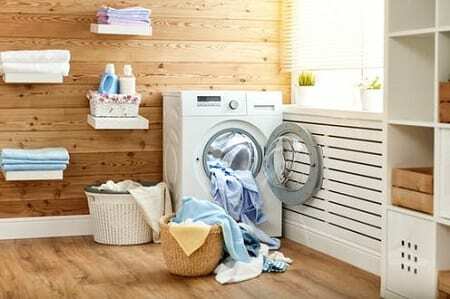 Here are just a few ways your laundry habits impact your environment. Winter is almost over and that means Spring cleaning season is just around the corner! 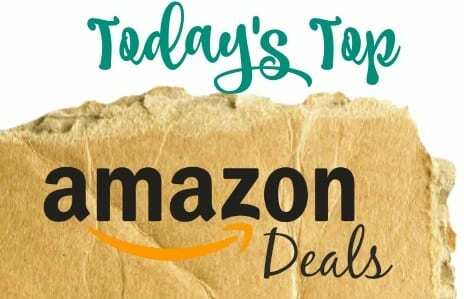 We have been searching Amazon for the best deals and bargains, and are sharing them right here so you can take advantage of some great savings. Please be aware that Amazon prices change constantly. If a deal that is listed here is no longer on Amazon, please let us know and we will remove it. There are also a whole host of lightning deals on Amazon. These are time specific, sometimes only lasting for a few hours so there is no way of listing them here. You can check out all of the lightning deals and offers here. A few years back I was renovating the house and decided to install tile floors in the kitchen and bathrooms, because these get wet occasionally and regularly, respectively. Whereas, the rest of the house, including the bedrooms, living rooms and the study hall have hardwood floors. Tile floors are durable and comparatively easy to clean. However, unless you clean them periodically, the tiles become dull and a layer of dirt gets embedded in the grout. The trick is to clean tile floors at regular intervals to ensure that you don’t have to put in very big efforts after long gaps. The basic tile cleaning process is quite straightforward, but you also need to take into consideration cleaning the grout as well as ensuring that the tiles look bright and shiny. One lesson that I’ve learnt is that while it’s fine to select light coloured tiles for the kitchen, it’s best to go with a slightly darker shade for the bathrooms. However, ultimately, that’s a personal choice. 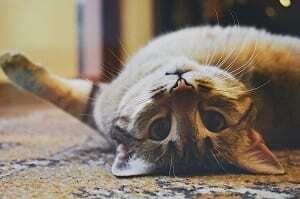 Your morning was perfect and you were curled up on the settee, enjoying a perfect cup of Scottish blend, but the cat jumped you and the teacup went toppling onto the carpet. Now a large stain is staring at you, accompanied by several smaller stains and your day is not perfect any more. The prospect of getting down on all fours and straining to get the stain out of the carpet is not an attractive one. But as tedious as it sounds, removing tea stains is not such a daunting task, after all. Spilling a morning cuppa on the carpet shouldn’t mean that you cannot have it sitting in your favourite chair on the carpet. Help is at hand, and I have more than one way to remove these dreaded stains, and what’s more, is that it can be achieved using household items that you already have tucked away in your cupboards. I will jump right into it. Painting your nails is one of those everyday things that can prove to be therapeutic! It is a great way to pamper yourself, but this dreamy situation with music and wine can fast turn into a nightmare when you realise that the bottle of nail polish has toppled and spilt all its contents on your pristine rug. 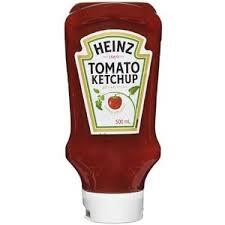 It is relatively easier to get the nail polish off your rug when it is still fresh but there are instances when you don’t even realise that something has spilt. It could be at one of those girls’ nights or a sleepover when everyone has had a little too much to drink and you wake up the next morning and stare at your carpet in horror! While most people panic in a situation like this, there is no need for you to be one of those people! The obvious stain may seem impossible to get out but tons of people have been in this situation and come up with ways to get that dried nail polish out without losing your carpet forever! You may joke about all the maxims about spilt milk, but you won’t be laughing much if you found it on your carpet or rug. Cleaning spilt milk on the floor or otherwise is no big deal, but it is a whole new thing if indeed it is your carpet that has been at the receiving end. And it would have been okay if it only were the stain, but for the smell. And god forbid if you have ignored it. The smell of the sour milk (just like vomit, to give you a fair idea) will surely send any visitors packing! These smells, especially if you had forgotten about it and the milk has turned sour, can be very hard to get rid of. But there is no reason to worry if you have dropped a bowl of milk on the carpet and are dismayed about the resultant odour and stains because the solutions are so simple they will put a smile on your face. I will tell you some practical solutions to this seeming catastrophe, using materials that you already have in your kitchen or cupboard. 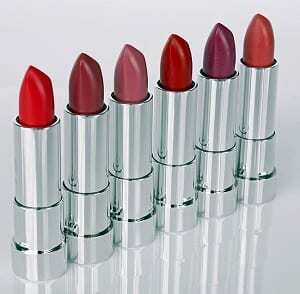 These solutions work, are tried and tested and are affordable. I’ve got this habit of lighting candles in the evening. 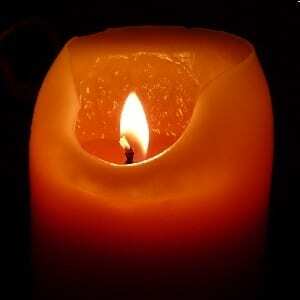 The light of the candle feels more soothing than that from tube lights or bulbs. It doesn’t necessarily have to be aromatic candles, though I do use those once in a while as well. Generally, I use regular candles. I have a glass front door that opens to the balcony. I place the candles on a coffee table near this door. The light reflects off the glass and adds a comforting vibe to the entire living room. Unfortunately, sometimes good things have a downside too. In this case, candle wax often drips onto the carpet. It’s not as bad as say a wine spill or ice cream stain, nonetheless, it needs to be cleaned or else the carpet fibres get spoiled. Vacuum cleaners are our go-to weapon when dust and dirt wreak havoc on our homes. There are, however, instances when you’ve turned on the vacuum to clean that dusty carpet but instead of the spotless finish you usually get, there is a weird smell that engulfs the room. There is no need for you to worry! This is probably because you haven’t changed the filter of your vacuum cleaner in a while and it is now time to do so. It may sound weird that you have to clean your vacuum cleaner but think about it – isn’t that the object that is collecting the most dust and dirt? Doesn’t it need the much-deserved tender loving care for all the work it does? While the task may seem daunting if you have never done it before, it is not difficult at all. The most important thing here is to know your vacuum well and if you don’t, the internet will always come to your rescue! A few months back I was getting my house repainted. As is required, I had covered all the furniture and carpets with either plastic sheets or cloth. Yet somehow bits of gloss paint managed to spill on the living room carpet. Unfortunately, I failed to notice this until the paint job was completed. By then the gloss paint had hardened and embedded itself into the carpet fibres. At that point, I had no clue as to how I could get it removed. The carpet was an expensive one and I didn’t want to take a chance. So, I got in touch with a professional carpet cleaning service. Now the thing with gloss paint or any other oil-based paint is that if it’s not dealt with immediately, it’s almost impossible to completely remove it off the carpet. Faint traces of it continues to remain. And that’s exactly what happened with my carpet. The carpet cleaning service gave it their best shot, but a faint paint stain still remains. In the morning, when sunlight falls on it, it’s visible. At other times of the day, I don’t really notice it. There are a lot of acceptable reasons as to why you might want to declutter. The main reason obviously is to want to have a better-looking house. Decluttering is the process of minimizing the number of items you have inside your house either by throwing them away or bringing them into storage facilities to store. Cycling is one of my favourite fitness routines. Since I live in an apartment building, I have to haul the bike up to the apartment and keep it there. Once in a while, bike grease drips onto the carpet. In fact, a lovely wool carpet that I had received as a gift got completely spoiled by grease stains and I had to dispose of it. It was after this that I did thorough research and learnt methods of dealing with and cleaning grease stains from carpets. 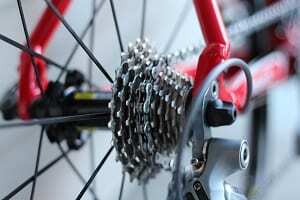 Grease is an oily substance that is applied to the bike chain to ensure that it moves smoothly. Grease (or for that matter any other oily substance) is quite stubborn and can leave a really nasty stain, so it’s extremely important that you deal with it as soon as you notice. The quicker you take action, the higher the chances that you will be able to completely remove it off the carpet. Maintaining carpets can be a real challenge during the rainy season. Unless you follow a strict shoes-off-at-the-door policy (which is admittedly hard to go through with), moisture is bound to settle on the carpet. What’s worse is that drying the carpet becomes difficult during these months as well, which leads to the moisture settling in the carpet. If autumn turns out to be wet and windy instead of mild and dry, then the problems are compounded. Rainwater seeping into the carpet isn’t the only reason for the damp smell. It could be caused by a leaking pipe under the floor, or if the indoor humidity levels are high. Once you’ve tackled the damp smell, you need to address the reasons why the carpet had a damp smell in the first place. One of my guilty pleasures is having a big a bowl of chocolate ice cream as I watch something on Netflix. Sometimes, if what I’m watching is really engrossing, I end up spilling some of the ice cream on the carpet. Call me clumsy, but it does happen. This is what happens to me, but in your case maybe you have young kids. They might mistakenly turn over a bowl of ice cream or drop a little from a melting cone. Irrespective of how the chocolate ice cream got on the carpet, it’s bad news. You need to act as soon as you spot it on the carpet. The longer the ice cream sits on the carpet, the harder it will be to get it off and remove the stain left behind. There’s also the chance that someone might step on it spread it other parts of the carpet via their shoes. 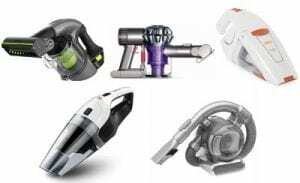 Vacuum cleaners have almost become indispensable over the past few decades. 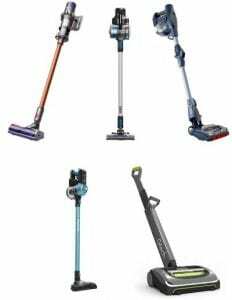 As technology has moved to greater heights, vacuum cleaners have become more powerful and smaller in size at the same time. They’re no longer the clunky machines that need to be literally dragged along from one room to the other. And don’t even get me started on the horror of carrying a vacuum cleaner up the stairs. It used to feel like an intense workout session instead of a weekend cleaning session. However, what’s truly incredible is that since the first vacuum cleaner-like machine saw the light of day, the basic design of this machine and the way it functions haven’t changed a lot. If you have a dog or a cat that spends a lot of time indoors, it wouldn’t be uncommon for you to come home to an unpleasant surprise waiting for you on the carpet. This is a task you probably are all too familiar with and dread the most if you have a sick or upset pet. If you have indeed found this unwanted gift on your carpet, do not punish your pet, and don’t wait too long to clean your carpet. For these are the stains that will wash away easier if they are removed earlier and won’t leave a rude reminder for you to ponder upon later. 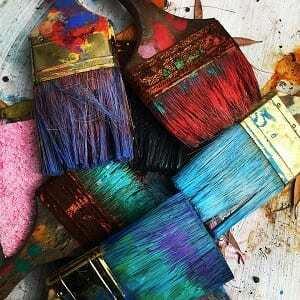 Have you set out to paint your house by yourself? If you have, then you know how easy it is to knock over a can of paint all over your floor, or worse even, your carpet, because unlike clothes, you cannot just toss it in a washing machine. What is worse is that just-spilt paint is bad in itself, but if you put it on the back burner and thought you would do it after your paint job, you could be in for a nasty surprise. Even if you have spilt a few drops of paint on it, it can cause a lot of frustration and panic. If you have a carpet in your house, you know how keeping it clean is not an easy task. Food, dirt, pets and sometimes ink, there’s no limit to what your carpet can be stained with. And if you have dealt with ink stains on trouser or shirt pockets, you are aware that cleaning ink can be a daunting task. But on the other hand, if you know what kind of ink you are dealing with, your task can be a little easier than you thought. Your carpet goes through all kinds of rough use, though a thinning carpet may add to its “character”, a stain does not. Any kind of spill on it can add to its misery, but the one stain anyone is always dreading are ink stains that can be quite formidable. But with a little knowledge and a little more patience, removing these ink stains can be a breeze. Christmas is over for another year, but here at Clean Home Guide, we are still in the spirit of giving. That’s why we are giving away this fantastic Vax Gator cordless vacuum cleaner free to one lucky winner! The Vax Gator is sure to clean away your post-Christmas blues, and have you ready for Spring cleaning season which is just around the corner. This handheld cordless vacuum cleaner is featured in our list of the best handheld vacuum cleaners, and it’s easy to see why. 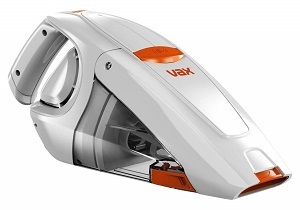 Despite its compact size, the Vax Gator has a large mouth which makes it ideal for cleaning up large messes. It is also perfect for giving the car a once over, and the fact that it is cordless means there are no cables to worry about. The garden brightens up my house and provides a sanctuary from my fast-paced lifestyle in the outside world. 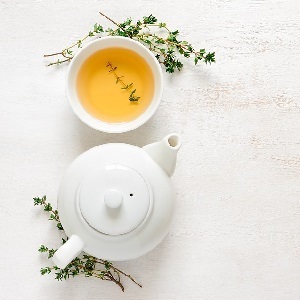 I often end up having the morning coffee while taking a stroll in the garden and during the summer months I host small get-togethers in my garden. However, I used to neglect the upkeep of the garden for far too long. Only when it used to become nearly impossible to ignore would I clean it, which used to take up a lot of time and effort. I learnt my lesson and now I clean it at regular intervals and try not to delay the essential maintenance work. If you have a gardener on call, then that’s great. 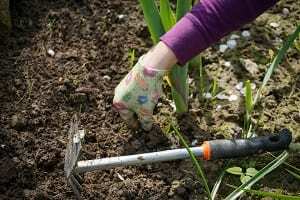 But, if like me, you prefer to get your hands dirty and love the therapeutic feeling of spending a few hours every week taking care of the garden, then you need to keep a few things in mind.